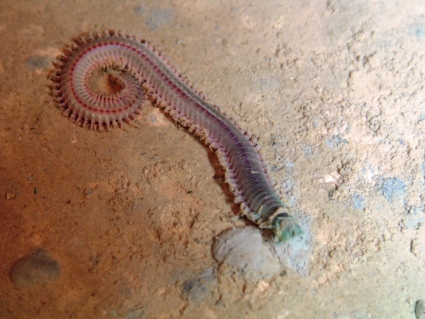 The polychaete Nereis gracilis (Hansen, 1878). This motile species is known exclusively from deep waters (range 930-2222 m) and has been recorded from the deeper parts of the Norwegian Sea, the Laptev Sea and probably the Sea of Beaufort. As with many deep-sea species very little is known about its biology. Nereis gracilis is likely to be an omnivorous scavenger with the specimen from Dalsnuten being approximately 15 cm long.